Australia has chosen Air New Zealand as its most reputable company for the third consecutive year. The results of the annual Australian Corporate Reputation Index (ACRI) survey published on Tuesday showed Qantas creeping closer to the supreme title but still the bridesmaid to Air New Zealand in second place for 2019. Qantas was placed fifth and third, consecutively in 2017 and 2018 behind Air New Zealand’s first placings in those two years. Virgin Australia, which was fourth in 2018, ranked 12th in this year’s survey. One other travel company, Flight Centre, came in 16th, up eight places from a year ago. The top accolade is Air New Zealand’s second in a matter of days. Last week, it retained its top spot as New Zealand’s most reputable brand for the fifth year in a row in the New Zealand-based Colmar Brunton Corporate Reputation Index, ahead of supermarket chain Pak’n Save. No Australian airlines managed a ranking in the top 20 of this New Zealand survey. Air New Zealand chief executive Christopher Luxon said the trifecta in the Australian Corporate Reputation Index reflected the “incredible efforts of our people to push boundaries and continually enhance all aspects of our customer experience”. “Customer focus underpins reputation leadership,” Luxon said. Luxon attributed gaining Australians’ confidence ahead of other brands down to the airline’s continued investment in aircraft, products and services and by “bringing genuine Kiwi warmth to the 17 million journeys the airline made each year”. 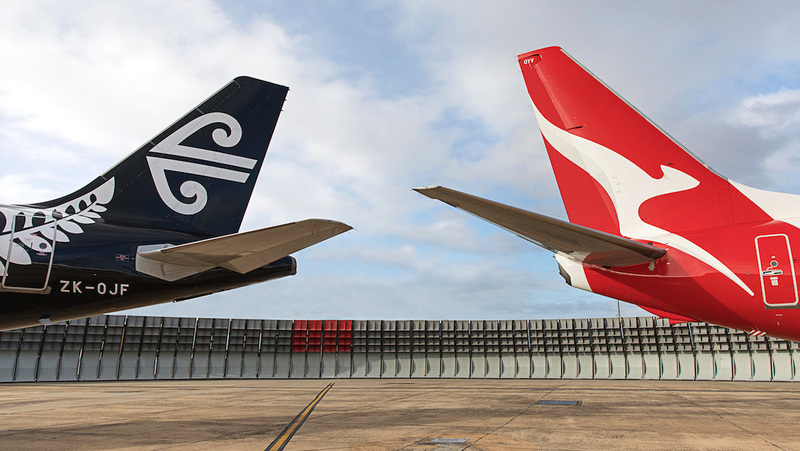 He said the airline not only operated more trans-Tasman routes from more Australia cities than any other airline, but also seamlessly connected Australian travellers to North and South America via its Auckland hub. The ACRI list takes 60 businesses on the IBISWorld Top 2000 company list each year and asks Australians to rank their reputations based on how they feel about each company’s performance across seven categories. Reputation scores are based on four questions relating to trust, esteem, good feeling, admiration and respect. Respondents rate each statement on a 1 to 7 scale which is used to calculate the overall reputation score ranging from 0 to 100 and these are used to create the ranking. To qualify to rate a company a respondent must indicate they are very or somewhat familiar with the companies. VIDEO: Air New Zealand chief executive Christopher Luxon reflects on the airline being names Australia’s reputable company for the third consecutive year on the carrier’s YouTube channel. NZ company, top in Australia. Is this Australia being cheeky and trying to claim Air New Zealand as their own? Singers, and actors are one thing. A national airline. Good luck. Do they mean Air NZ t/a Ansett? Does anyone remember a great Australian airline Ansett and how ANZ treated them, only in Australia. Good one Paul. We weren’t talking Air Forces. 25 million tax payers vs under 5 million. Not a level playing field. If you wanna get beat there compare the RAAF to the USAF. Airlines stand and fall on their merits. 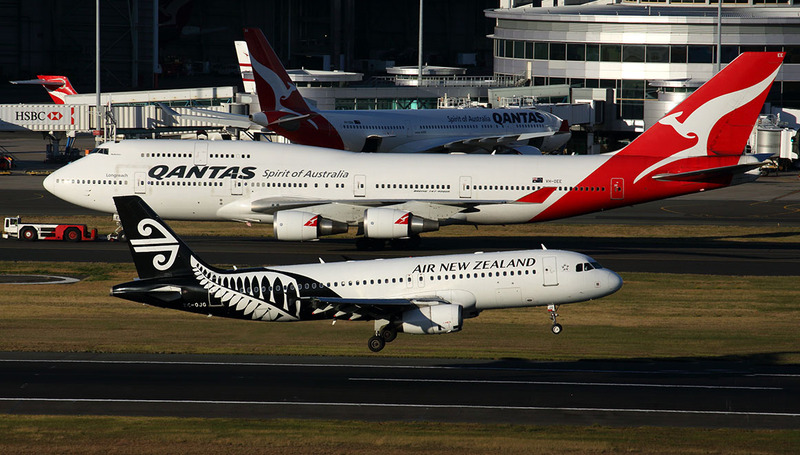 Air NZ 1, QANTAS 2. No comparison in my opinion. Qantas wins hands down. @ANDY We were comparing other items between NZ & AUS the first comment mentioned singers/actors. This site is about aviation. Im talking about capability not size or scale. NZ Airforce got cut in half lost its strike wing & the money the NZ Govt saved on that they bailed out AIRNZ to the tune of 800 million when they weren’t doing so well. Was a good time to buy AIRNZ Shares back then. But not a good time to employed on an RNZAF strike squadron. AIRNZ should not have bought Ansett. PS ANZAC day is April 25 so try some trust, esteem, good feeling, admiration and respect.